Odorous house ants (or OHA) are small, dark, fast ants that produce a very strong smell (like rotten coconuts) when crushed. They’re very common in homes, foraging for sweet, sugary food and build their nests outside, as well as inside – under doormats, in dishwashers or along the edges of baseboards. Odorous house ants are most likely to come indoors during rainy weather, so you can imagine how common they are in the Pacific Northwest. The most common way homeowners know they have odorous house ants is by seeing a trail of them scurrying across their kitchen counter. Although they prefer sweet food, they’ll also eat meat, dairy and vegetables. Make sure food is tightly covered when stored. Clean your kitchen regularly so it’s free from crumbs and grease. Remove sources of standing water. Keep trees and shrubs clear from the sides of your house. If you have pets, don’t leave their food in their bowls when they’re not eating. We begin removing odorous house ants by locating the active colonies. If you spot them in more than one room, it’s most likely you have more than one colony. It’s very important you don’t use ant spray on these ants; they’re referred to as “budding ants,” which means they have multiple Queen colonies and will divide their colony in half if attacked. They can also sense chemical smell. 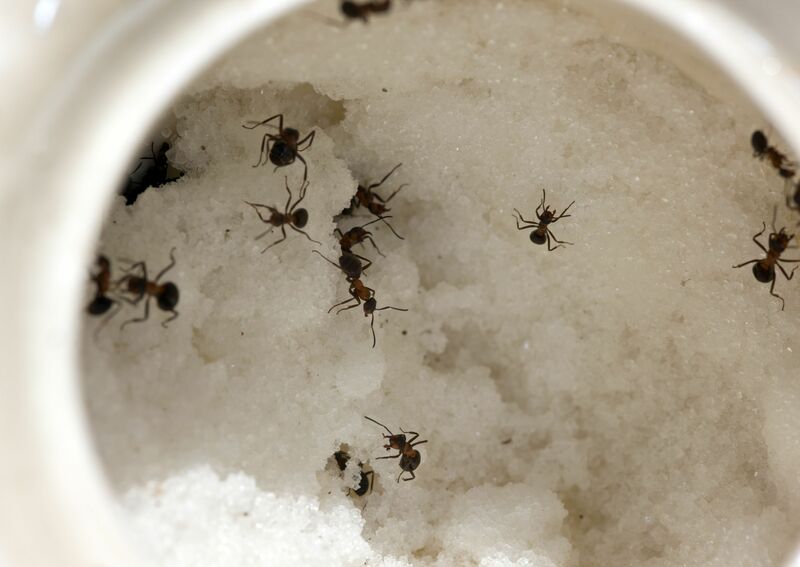 We eliminate these types of ants with a baiting program, which allows the ants to carry the bait back to the colony, effectively eliminating it. In some cases we will also use a non-detectable transferable product sprayed along baseboards in addition to baiting. If an over-the-counter spray has been used, this type of pest control may take a little bit longer. Once the spray has been used and ants have budded, it can take one week to three months for them to re-emerge. After initial treatment we highly recommend a preventative pest control program due to the high rates of re-infestation. If you are on a prevention program, any additional treatments would be at no cost to you.